Is This the Smallest Game Boy Ever Made? The original Game Boy was big enough to fit in an enormous pocket. This Game Boy is big enough—make that, small enough—to clean your teeth. Measuring 0.02mm by 0.1mm, this Game Boy cannot play video games of course, but it does have drawn on buttons and a screen. 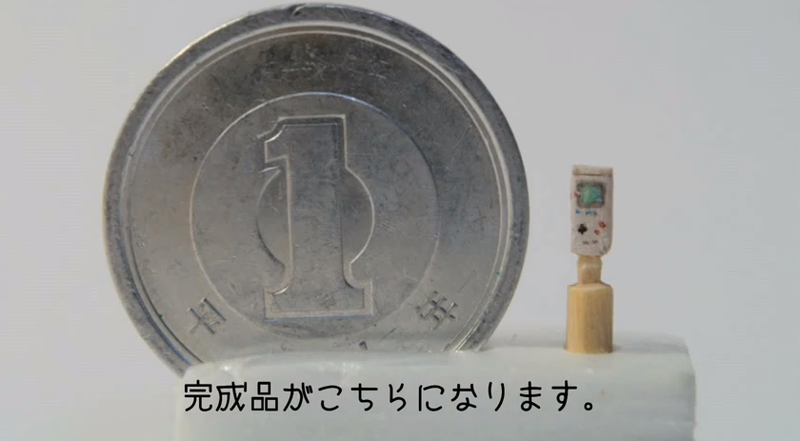 It's smaller than a one yen coin (which is small, like a penny). This video was originally uploaded on Japanese video site Nico Nico Douga for an online D.I.Y. festival. This creation took four hours and after sculpting the Game Boy shape, complete with cartridge slot, it was a matter of painting it. Like the tooth pick sculpture itself, that was easier said than done.